Making the leap from employee to self-employed or even employer is a challenge in any industry. Architecture is no exception. It requires a long shopping list of items ranging from the utilitarian to the esoteric: most are necessary and many others are at the least very important. This is the 1st instalment in a series of 10 articles where we attempt to categorise chronologically and thematically the list of things you will need to start your architecture practice, and furnish it with the glimpses of insight we’ve accrued during the first three years of our architecture practice, Mihaly Slocombe. 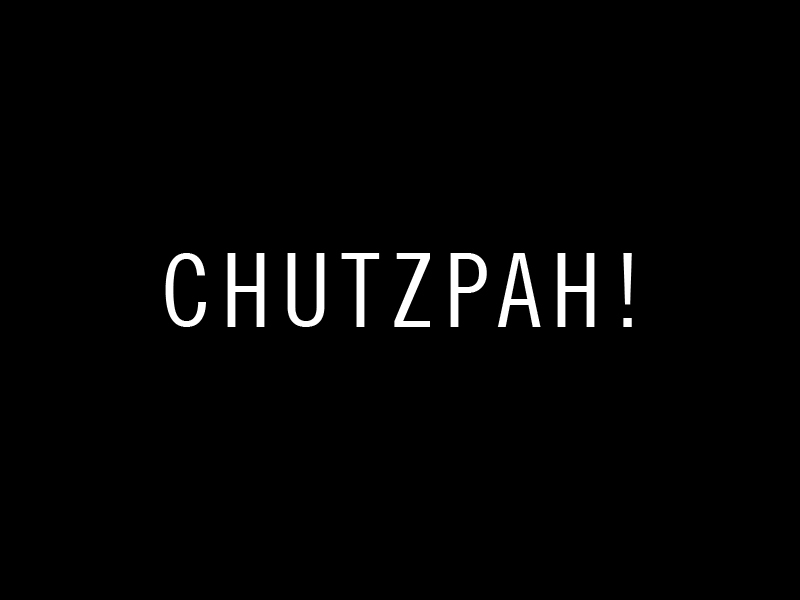 Chutzpah, the yiddish word that combines guts, verve and cheek, is an essential ingredient in your new architecture practice. It will help you convince potential clients that you have what it takes to wisely spend large amounts of their hard-earned money. Once they sign you on, it will help you as you guide them through the dangerous waters of architectural design. It will help you in your relationships with builders and other professionals, many of whom will know much more about construction than you do. It will help you as you market your work in an endeavour to win peer praise. Chutzpah means believing you have what it takes to run a successful architecture practice, even if you must wait a number of years for this belief to come true. It relies on your guts and verve being balanced by a careful dash of cheek: too much is arrogance, an unpleasant characteristic even in those who might justify it; but the right amount is the perfect ingredient to help you build your practice. The most obvious example that demonstrates the fineness of this balance comes whenever you have the opportunity to speak with a potential client. This person may not even be thinking about building, but perhaps one day she will: it’s important that when that day comes, she contacts you. Too little cheek and you will miss the opportunity. Too much cheek and you will appear forceful and unattractive. Just the right amount will convey your passion for what you do and an understanding that you are interested in helping. You will walk away from the conversation one business card lighter and, who knows, one potential project richer. A colleague of ours relates the story of Peter Maddison, director of Maddison Architects, who disappears whenever the practice grows a bit quiet. He schedules lunch after lunch after lunch, catching up with old friends and acquaintances. He asks what they’re doing and what’s happening in their lives. In so doing, he implicitly reminds them that he’s open for business. Weeks or months later, when that restaurant site is purchased or new office space leased, his lunches pay off. Above all, you will need chutzpah to carry you through the long stretches between new projects. Architecture is a long game, the turnaround between projects often taking years, but many of the other activities you will undertake in your practice are fleeting. Chutzpah will help you navigate the many opportunities that populate these activities and will assist you while you wait for those business cards to manifest into work.